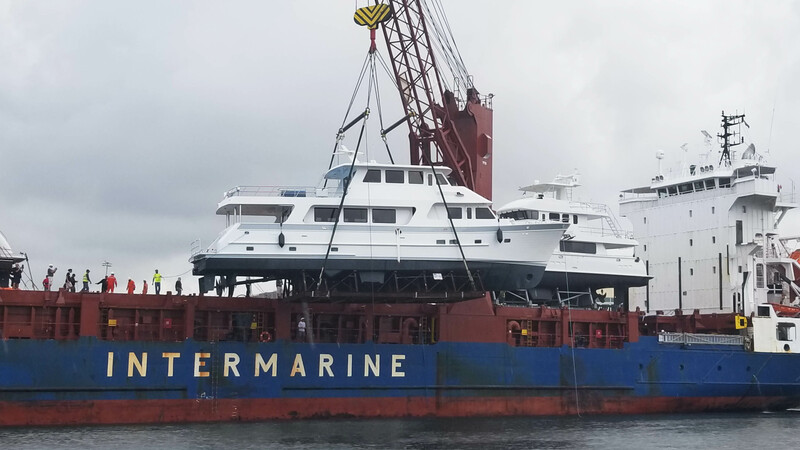 Photographed here is a stunning new Outer Reef 860 Deluxbridge (Skylounge) Motoryacht offloading in Fort Lauderdale this past week. 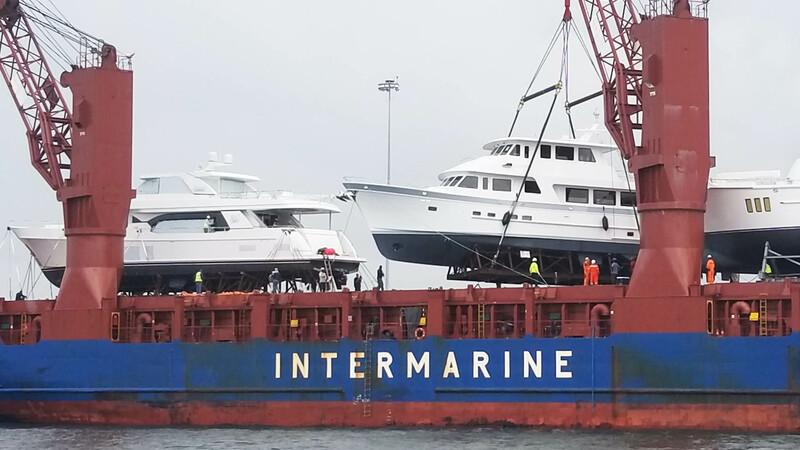 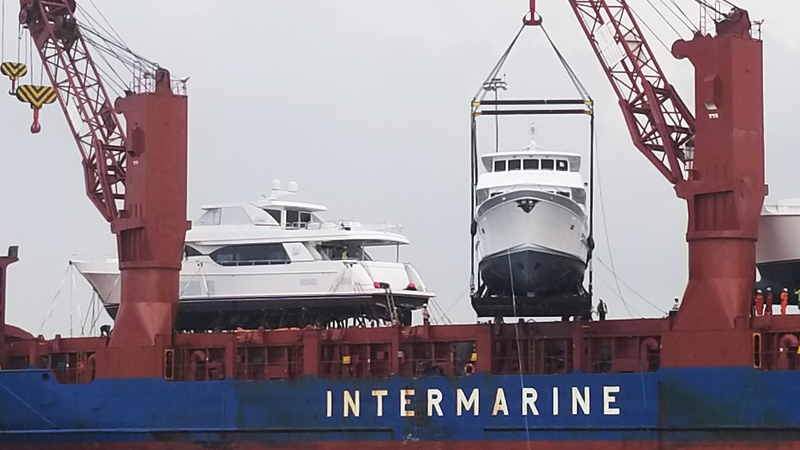 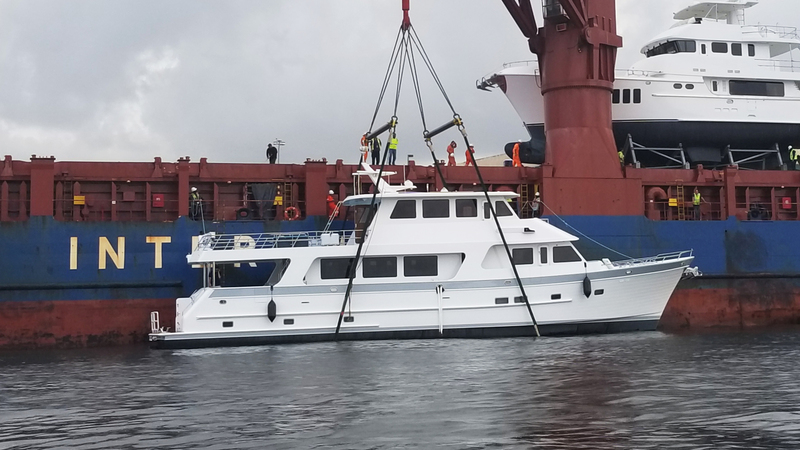 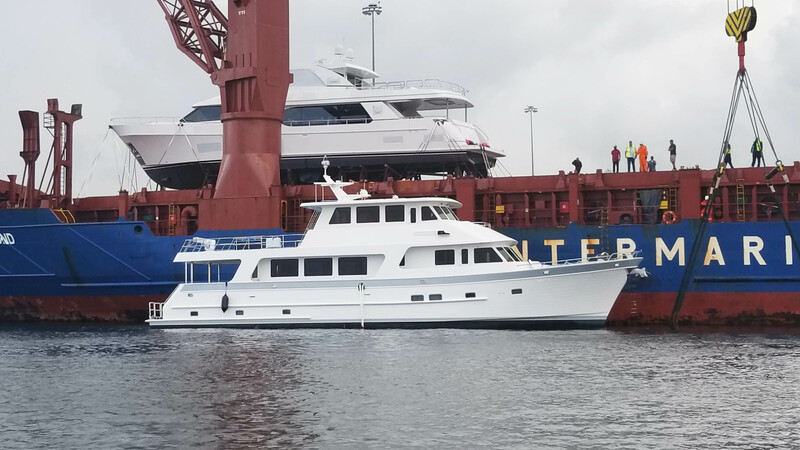 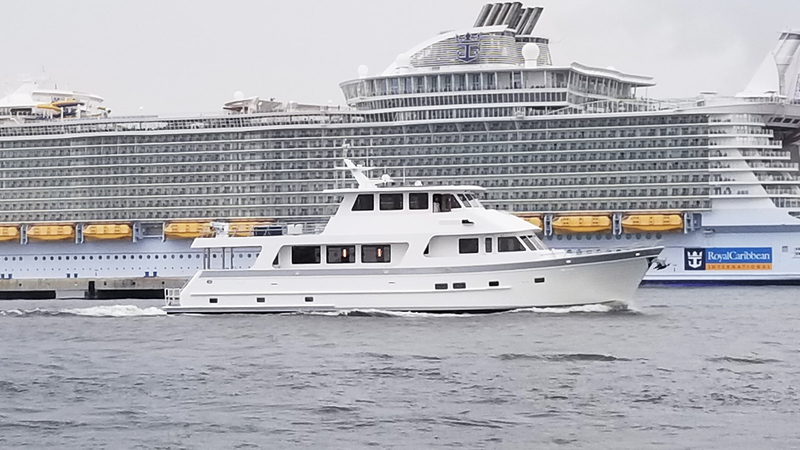 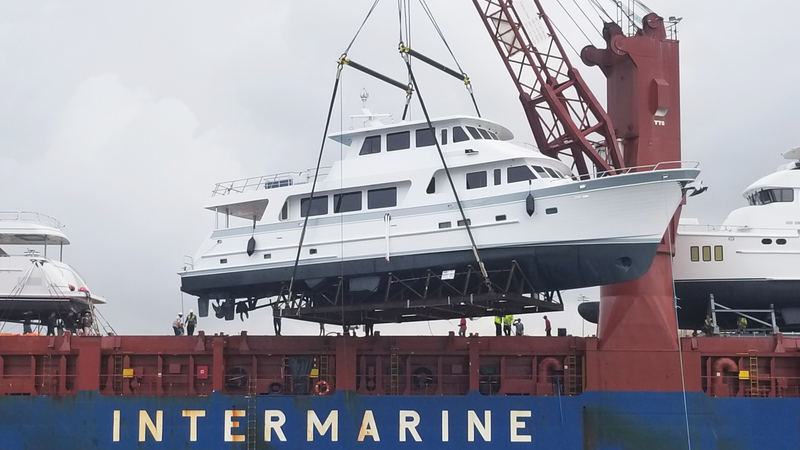 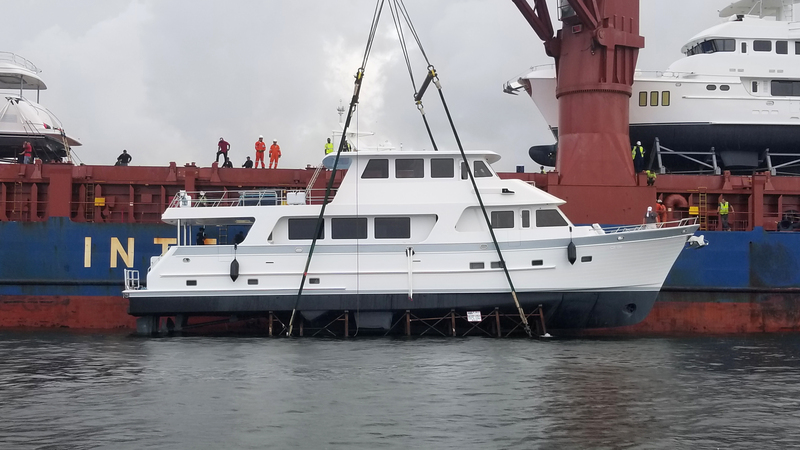 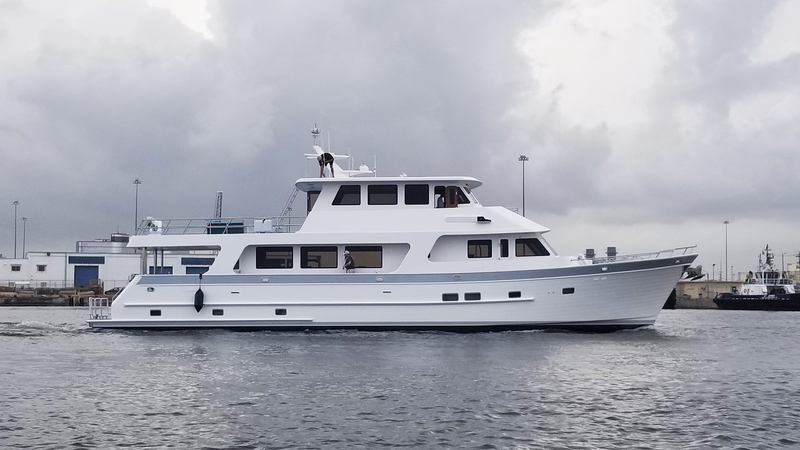 Despite the rainy weather, this new yacht shines brightly as she unloads and cruises out of the port. 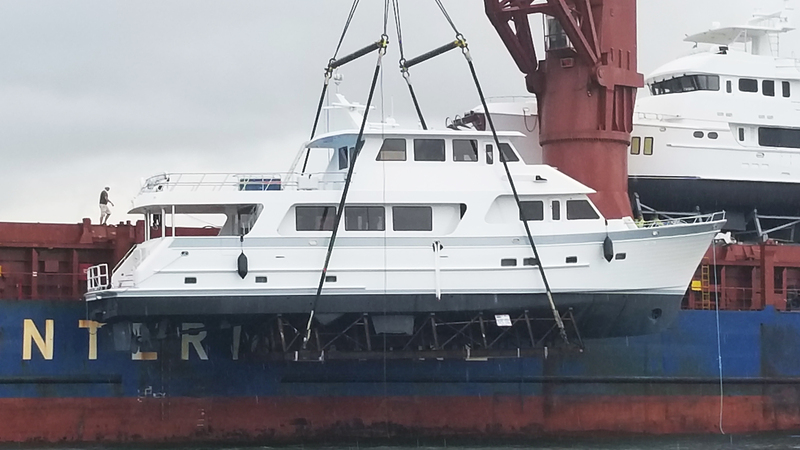 For more information on the 860 Deluxbridge Model click here. 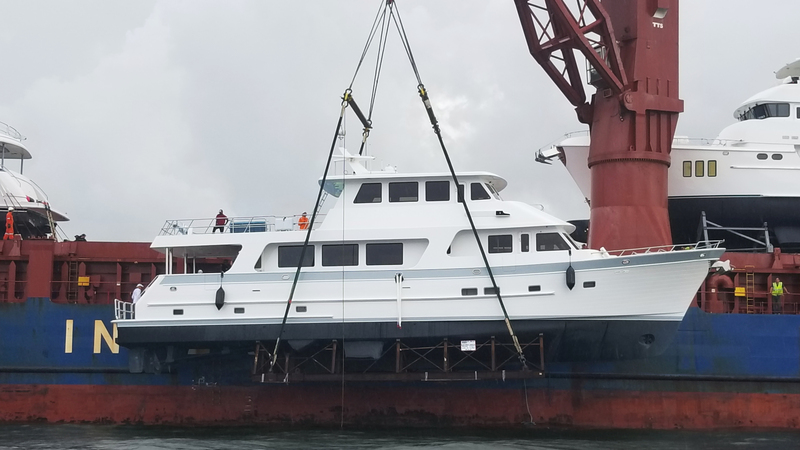 For an 860 Deluxbridge Motoryacht model video click here.